If you are a online store owner and you don’t have a blog, you are missing a great opportunity. In this article I will outline 3 main reasons why you should integrate blog into your E-commerce strategy. More and more online retailers are becoming publishers. 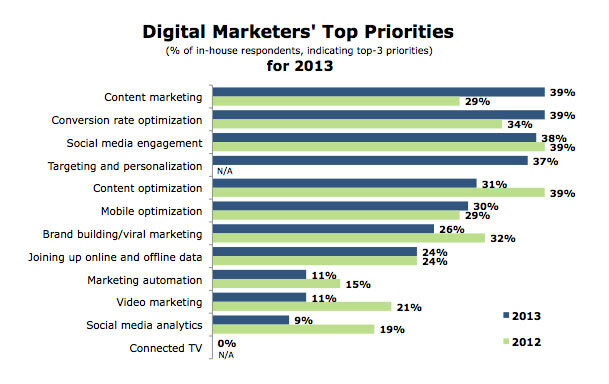 A recent study by Econsultancy has shown that 39% digital marketers consider content marketing as their top priority in 2013. Also, what’s interesting is that on the 2nd place with 38% is conversion rate optimisation. Fusion between those two will result in more meaningful content that will provide more value, both to the customer and the store owners. This trend will continue as more retailers decide to invest time and money into producing quality content. 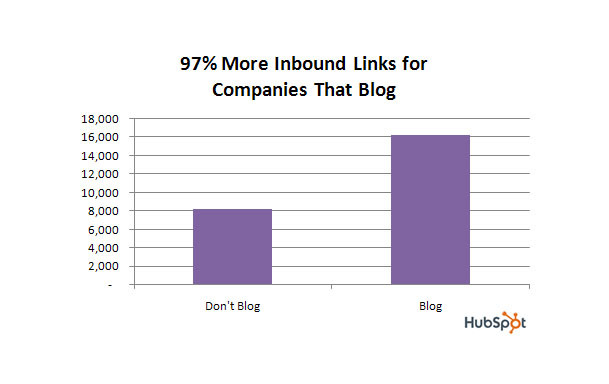 To illustrate value of blogging, here are some useful graphs generated from data from 1,531 HubSpot customers. 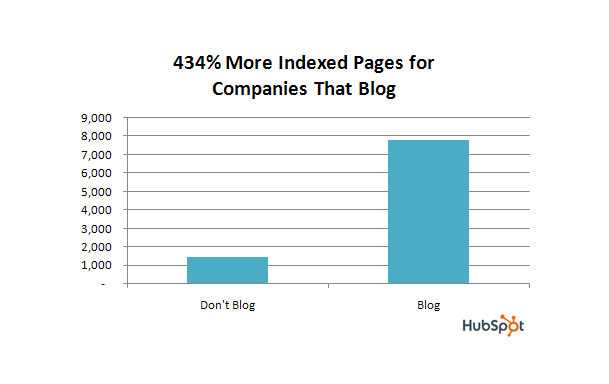 Companies that blog are getting in average 55% more visitors, 97% more inbound links and 434% more indexed pages. In today’s technology world, we often forget that at the end of the day we are all humans. Blogging can help you to present your company in an honest, transparent and more informal way, which can build trust and loyalty with your potential customers. Also, you can interact with your customers in real-time by responding to their comments on the blog content. 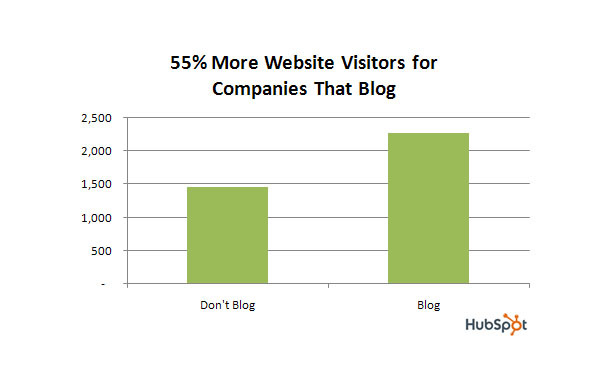 Have you included blog into your E-commerce strategy? I would love to hear your thoughts and experiences in the comments below. We are coming to Meet Magento Czech Republic! Bringing along quality content and people!